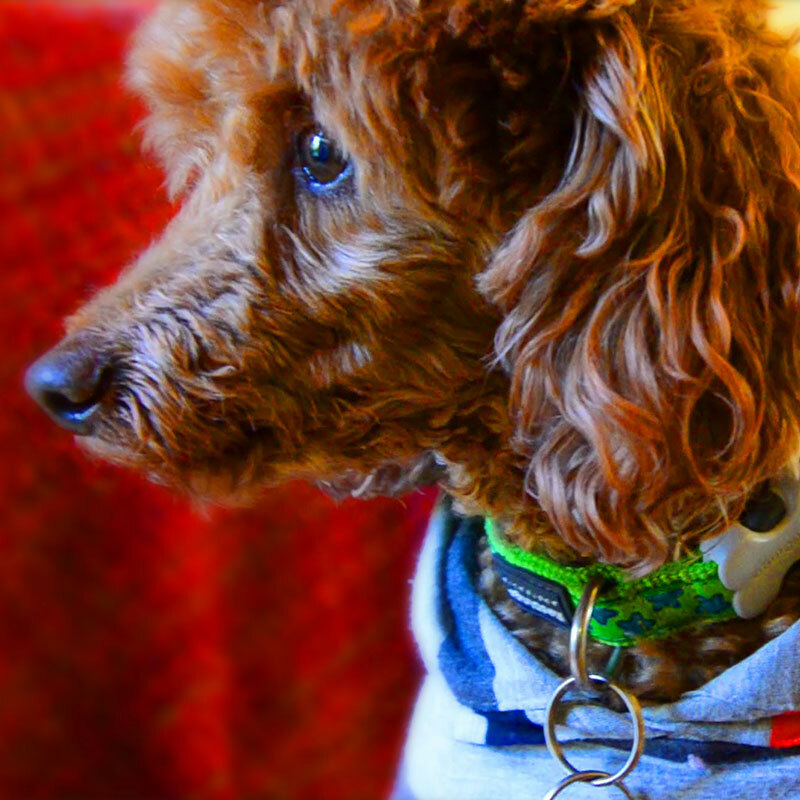 Ross – CMg Design, Inc. 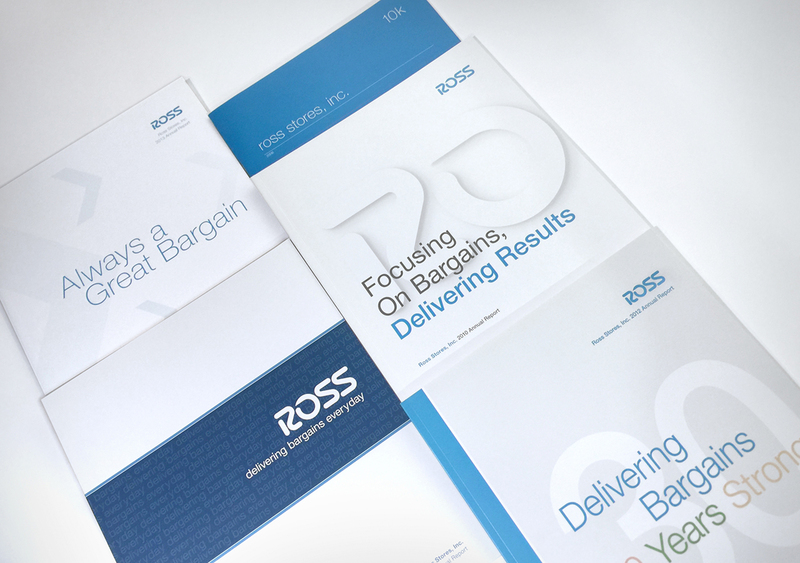 Tapping into the Ross corporate ethos was the foundation of our success. 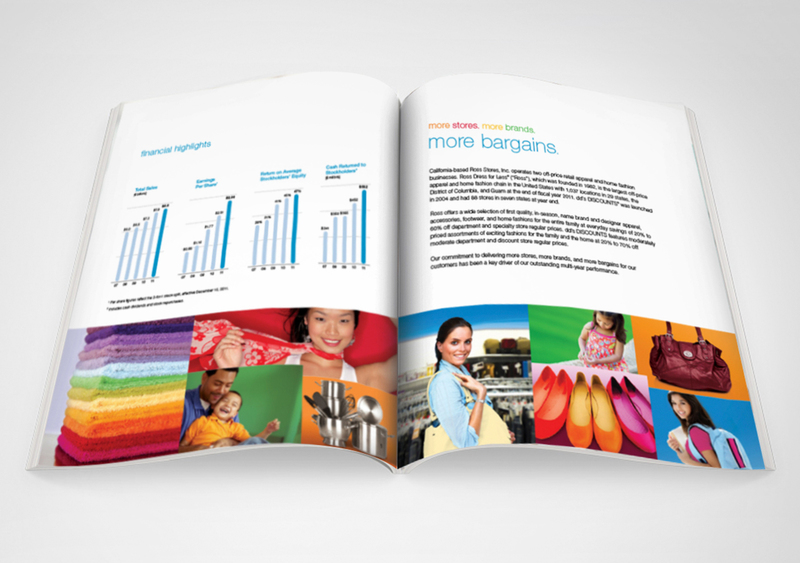 Respect for the Ross brand, cost effectiveness, and consistency with the core message of “delivering bargains” was key to our success during our six-year tenure with Ross Stores. 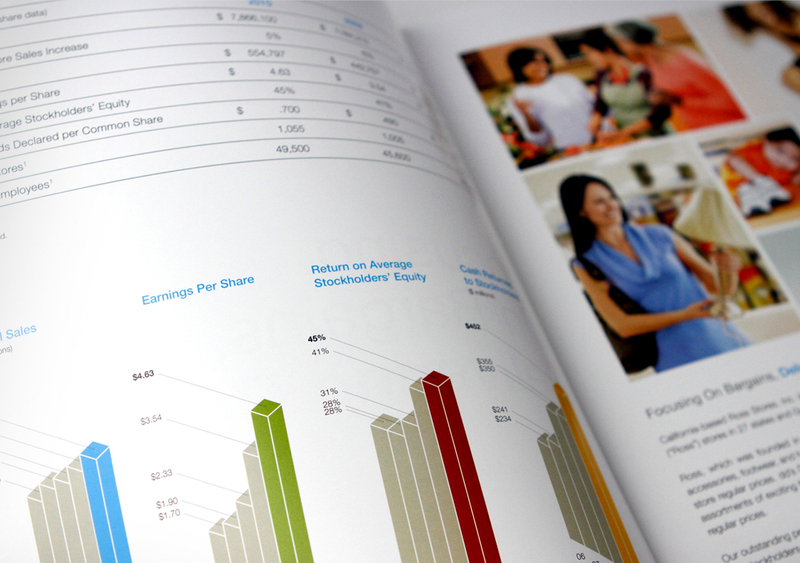 CMg designed annual reports for Ross from 2007 until 2013, as well as a press kit in 2011.